The reissue of the second album by this excellent Canadian trio has been long awaited by many. A rather nonstandard three-piece, their most unique feature was the substitution of mandolin/violin for parts that would normally be handled by guitars, on this album played by Nash the Slash (don't worry, this is nothing like the techno-thrash solo material he is better known for...). De-facto bandleader Cameron Hawkins plays either synthesizer and bass pedals, or bass guitar and synth-pedals, and is the group's lead vocalist. Martin Deller ties it all together with the drums, keeping the mix busy and energized. The band covers a lot of bases here, from fusion to an accessible rock sound to a very heavy bombastic prog, either as instrumental workouts, or served up with sci-fi lyrics (which would become their trademark). The mandolin is played with all the standard guitar treatments (fuzz, feedback, delays, etc.) and performs precisely the same duty as a guitar would in any other band, but the solos give it away: high-pitched screamers that yield to nothing. "Phasors on Stun" and "Aldeberan" are the most accesible tunes here, yet they fare well within the band's instrumental vision. With "One O'Clock Tomorrow" they adopt an almost Yes-like feel, further accentuated by the parallel lyrics, vocal harmonies, and the Chris Squire trademark Rickenbacker bass sound. "Journey" is an almost-straight-ahead rocker — it's here that Nash's solid-body mandolin rocks its hardest. 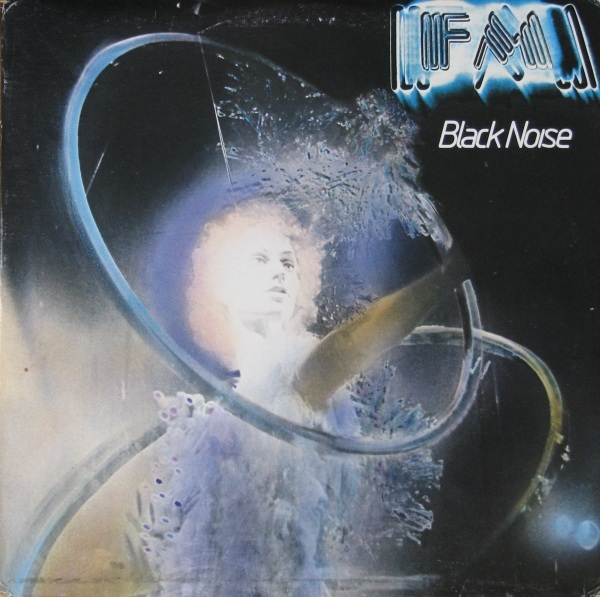 "Black Noise" is a heavy and dark — and typically progressive rock opus of the ten-minute type, and while very intense, it also shows some of the band's weaker tendencies: a bit too much repetition and a knack for meandering. Probably the album's finest tracks are two instrumentals that are more in the violin-fusion mode: "Slaughter in Robot Village" and "Hours," both of which point to the sound on the band's 1977 album Headroom, yet here that loose-and-free sound is given a more cohesive sense of purpose via stronger material. This was a good album in '78 and it's still a good album today; it covers a lot of ground musically and offers something for everyone. Recommended.